There is no unifying theory of painting. Manifestos, if they still exist, are not what they used to be. Nor are assemblies or encounters with strangers. Surveys of ‘capital p’ PAINTING suggest that color is important nowadays. Tropics are topical. Monochromes are not monolithic end-alls. A rainbow of monochromes is on the receding née approaching horizon. Domestic themes are in but domesticity, per se, is out. Is it nostalgia? Is it about travel? What do signs say and how are they colored? What do colors say – how do they signify? And what about books? No matter. 2017. Here we are: two Americans and two Austrians; all of us who make paintings;all of us who use color; brought together by one of us who makes books. Curated by Markus Kircher, this exhibition will feature recent work by Daniel Domig, Markus Kircher, Suzy Kopf, and Champneys Taylor. The show will present four different takes on painting. Painting as a medium of freedom and concentration shows itself from its variable and curious side; from figuration to abstraction. Show runs until February 17. 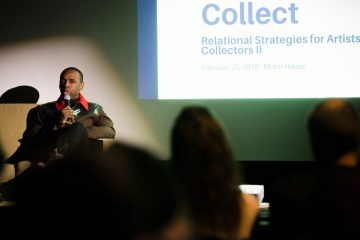 The Contemporary will lead three free information sessions and three free workshops. Each of the three info sessions will cover the same information and provide details on the Grit Fund application process, guidelines, eligibility, funding priorities, and more. Each of the three workshops focuses on a different topic outlined below. You are welcome to attend just the info session or workshop portion of each event, or both. While attending an info session and/or workshop is encouraged, attendance is not required to apply for funding. No RSVP necessary. 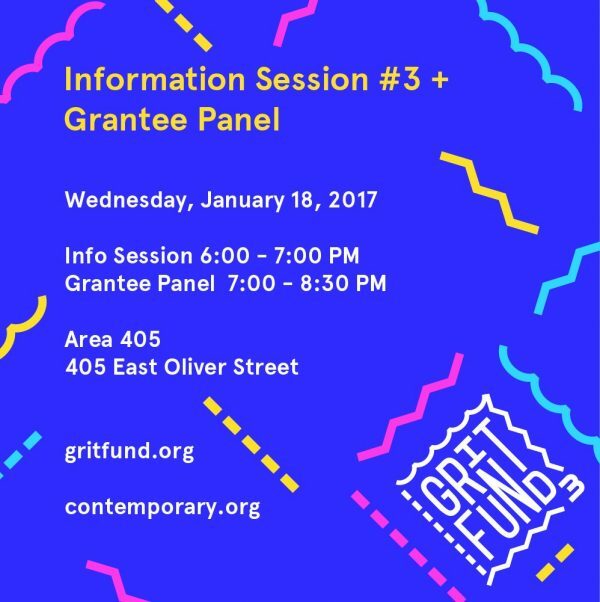 The Grantee Panel features Grit Fund Grantees from previous rounds to speak about their experience and answer questions. Toward the end of his career, Alexandre Dumas wrote a sequel to The Three Musketeers that begins, not twenty years later, but a mere twenty days afterward. The Red Sphinx continues the stories of Cardinal Richelieu, Queen Anne and King Louis XIII and introduces a charming new hero, the Comte de Moret, a real historical figure from the period. A young cavalier newly arrived in Paris, Moret is an illegitimate son of the former king, and thus half-brother to King Louis. The French Court seethes with intrigue as king, queen and cardinal all vie for power, and young Moret soon finds himself up to his handsome neck in conspiracy, danger and passionate romance. Alexandre Dumas wrote 75 chapters of The Red Sphinx for serial publication, but he never quite finished it, and so the novel languished for almost a century before its first book publication in France in 1946. While Dumas never completed the book, he had earlier written a separate novella The Dove, that recounted the final adventures of Moret and Cardinal Richelieu. Now appearing for the first time in one cohesive narrative, The Red Sphinx and The Dove make a complete and satisfying storyline―a rip-roaring novel of historical adventure, heretofore unknown to English-language readers, by the great Alexandre Dumas, king of the swashbucklers. Lawrence Ellsworth, translator of Dumas’s The Red Sphinx and editor of The Big Book of Swashbuckling Adventure, is dedicated to bringing great historical adventure fiction from the last two centuries to contemporary readers. He’s currently working on modern translations of Dumas’s entire Musketeers series. Lawrence Ellsworth is the pen name of Lawrence Schick, a longtime writer and game designer who’s worked in the field of role-playing games since the early days of Dungeons & Dragons in the 1970s. As a part of a year-long series of events celebrating its tenth year anniversary, Arts Every Day will be hosting a 10×10 Portrait Show featuring over two hundred student and teacher artworks from fourteen Baltimore City Public Schools. The exhibition will be on view at the Motor House from January 6-31, 2017 with a reception on January 18, 2017. RSVP at 10x10portraitshow.eventbrite.com. 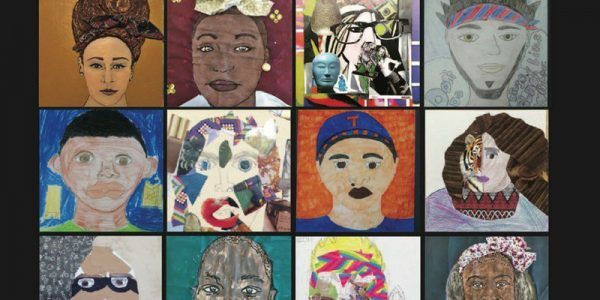 Inspired by local artist Stephen Towns’ portraits, students and teachers from Baltimore City Schools were invited to create 10×10 inch portraits from found objects and materials that celebrate themes of identity, family heritage and culture. Mr. Towns will then be curating the resulting portraits to be exhibited for the show. After it’s run at the Motor House, the exhibition will be displayed at Arts Every Day’s tenth anniversary celebration at the Baltimore Design School on March 10-11, 2017. The exhibition reception will be on Wednesday, January 18th from 5-7 PM at the Motor House on 120 W. North Ave. The reception will feature performances by local spoken word artists from Dewmore Baltimore with remarks from Mr. Towns, participating teachers, and students. Dir. Sam Pollard | 2016 | 80 min. In the summer of 1964, hundreds of college students traveled to Mississippi to join the struggle for civil rights and voter registration during what would become known as the “Freedom Summer.” By sheer coincidence, two groups of country blues lovers would make the same trip to Mississippi at this time, in an attempt to find legendary blues musicians Skip James and Son House. As these odysseys intertwine, we are left with a brilliant film which highlights the political and cultural struggles and triumphs of this critical period. Presented in partnership with the Baltimore Blues Society. DIVINE’S UNBIRTHDAY BIRTHDAY POTLUCK PARTY!!! Featuring performances by DC’s own Birdie La Cage! and somebody’s Aunt Lorraine! At this bleak time in American history, we seek role models for courage and inspiration. Who better to guide us than the phenomenal patron saint of filth, the queen of sleaze, the late, great Divine. 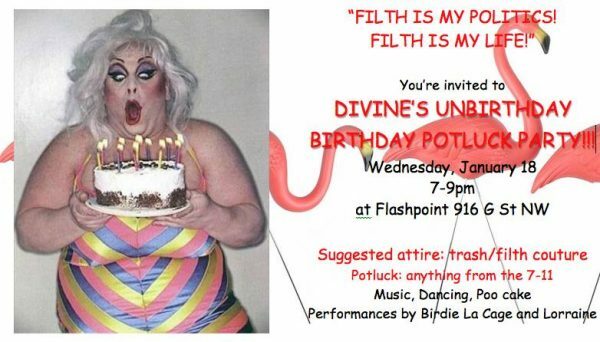 As an act of domestic deviance and queer bliss, our celebration of Divine will take the form of a potluck, and we encourage attendees to dress in whatever way makes them most comfortable and fabulous. A native Baltimorean, Divine rose to fame as a star in so many of John Water’s delightful and well cherished films from the late 1960’s through the 80’s, such as Mondo Trasho (1969), Pink Flamingos (1972), Female Trouble (1974), and Hairspray (1988). Divine’s namesake is a character from Jean Genet’s 1943 “Our Lady of the Flowers,” a radically queer and dizzyingly poetic transgressive novel. This potluck party is a tribute to all our heroes to whom we turn when life gives us a turd, and Divine, the most beautiful woman in the world, almost, is at the head of the table. 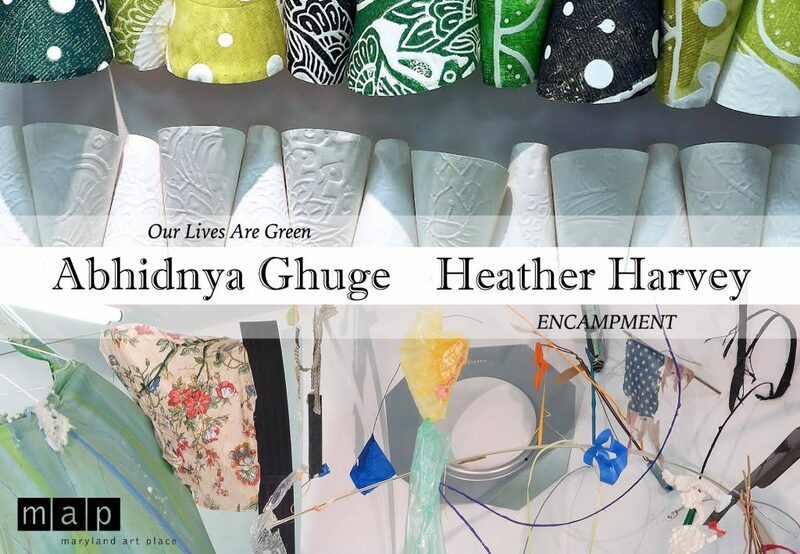 MAP presents the works of Abhidnya Ghuge & Heather Harvey in a double solo exhibition exploring space intervention & materials use. The exhibition begins with an opening reception on January 19th at 6 PM and continues until March 11, 2017. Abhidnya ‘Abhi’ Ghuge is a multidisciplinary installation artist who hand carves large-scale woodblocks, printing on thousands of paper plates. 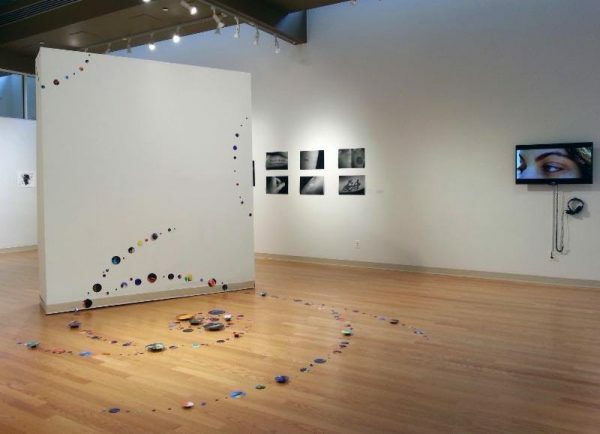 She creates site-responsive installations, encouraging viewer interaction to enhance experience. The paper plates, no longer disposable, are now transformed and imprinted with life. Raising Voices is a free, monthly, film screening event held every 3rd Thursday at the Real News Network Studios in downtown Baltimore. The series kicks off with a screening of 3 1/2 Minutes, 10 Bullets, an award winning documentary film that explores the shooting death of Jordan Davis, an African-American teen who was killed by Michael Dunn, middle-aged white man. The shooting was sparked by an argument between Dunn and Davis over loud rap music. The film examines the incident as well as the subsequent trial, media coverage and protests that resulted from the shooting. A live, panel discussion with Ronald A. Davis (father of Jordan Davis) Attorney General Brian Frosh and award winning attorney at law A. Dwight Petit will directly follow the film screening. Admission is free. Seating is limited. Reserve your seats on Eventbrite. 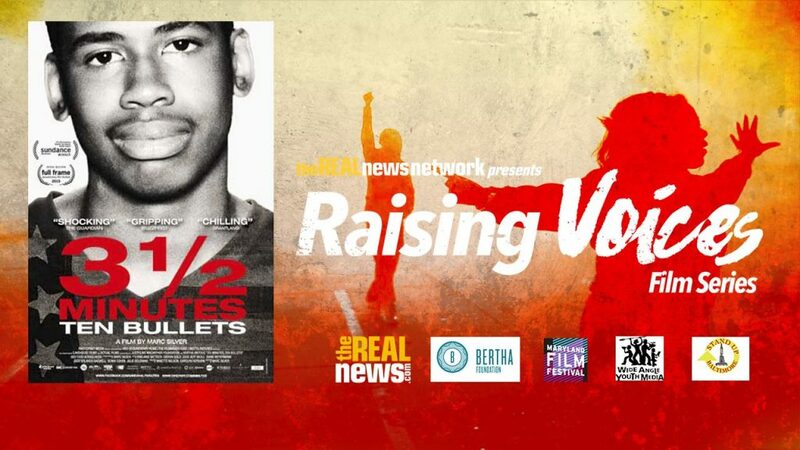 Raising Voices Film Series is produced by the Real News Network in partnership with the Bertha Foundation and the Maryland Film Festival. The series is designed to inspire community dialogues and explore brave and creative subjects through documentary and narrative films. 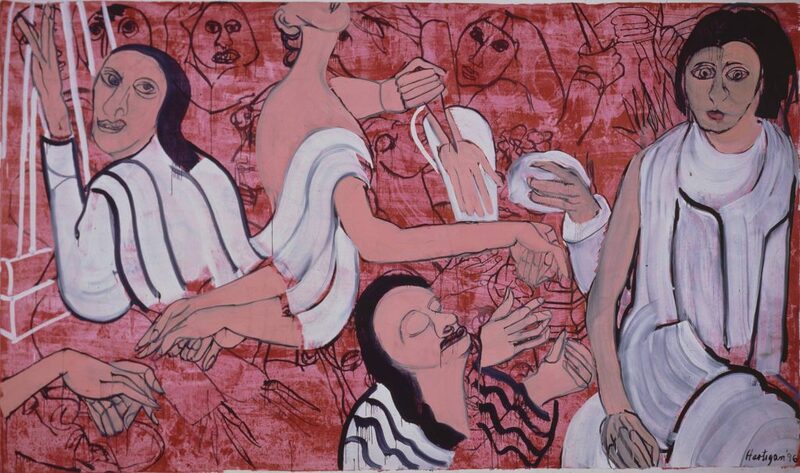 C. Grimaldis Gallery is pleased to present Grace Hartigan: The Late Paintings, an exhibition of works from the 1980s – 2000s. Renowned for her formative participation in the Abstract Expressionist movement of the 1950s, Hartigan’s paintings from the latter decades of her career blend figurative content with her signature sensibility of vibrant color, active gesture and painterly freedom. Extending from earlier paintings like Grand Street Brides, 1954, works like Dolls, 1976, The Entertainers, 1989, Spanish Nobility, 2006 and A Midsummer Night’s Dream, 2007 position figures in art-historically familiar poses while articulating vulnerable subject relationships embedded with emotional truth. Bosch’s Women, 2005 draws its composition directly from paintings by the eponymous artist. Though often going against the grain of what was acceptable subject material for her milieu, Hartigan’s stylistic awareness and prevalent reuse of visual information presage contemporary painting today. Hartigan’s works are characterized by a variety of paint-handling techniques which illuminate the artist’s hand. She often overlaps multiple narratives, occluding or preserving past versions via rubbing, brushing, soaking and dripping. Transparent hands and faces hover as haunting symptoms of obsessive fixation in Lady Macbeth, 1996. In Durer at Twenty-Two, 1985, Woman and Fish in Grey, 2007 and Mata Hari, 2005 tear-like rivulets of paint enshroud figures in a series of veils which might be pulled aside to see a moment more clearly. 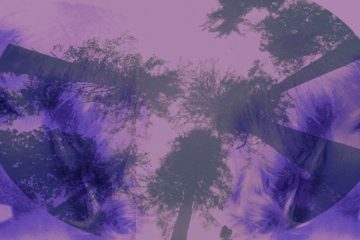 This re-doubling of subjects underscores a fluctuation between symbolic meanings; between immediate and fabled. The Late Paintings presents a series of works emblematic of Hartigan’s commitment to an alternate economy of images which prioritizes the subject in a state of becoming. C. Grimaldis Gallery has proudly represented Grace Hartigan’s work and estate since 1979. This will be the artist’s twenty-first solo exhibition at the gallery. Hartigan is currently featured in the major exhibition Women of Abstract Expressionism, which will travel to the Palm Springs Art Museum in February. Grand Street Brides, 1954 is currently on view in Human Interest: Portraits from the Whitney’s Collection at the Whitney Museum of American Art. Hartigan’s work is represented extensively in private and public collections worldwide including the Baltimore Museum of Art, the Hirshhorn Museum, the Art Institute of Chicago, the Metropolitan Museum of Art, MoMA, the Solomon R. Guggenheim Museum, and the Whitney Museum of American Art. 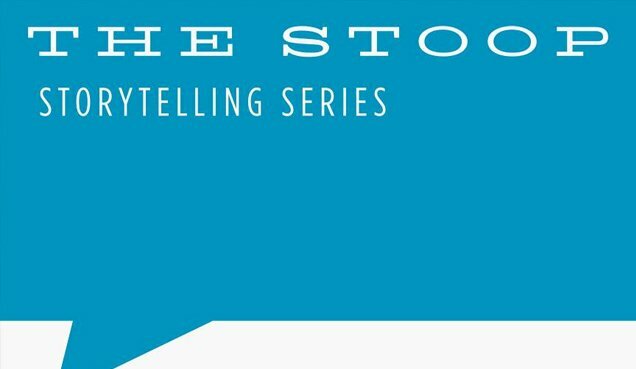 Put your name in the hat to tell a 3-minute true, personal tale on the theme — or just come to listen. This month, we’re focused on ACTION! 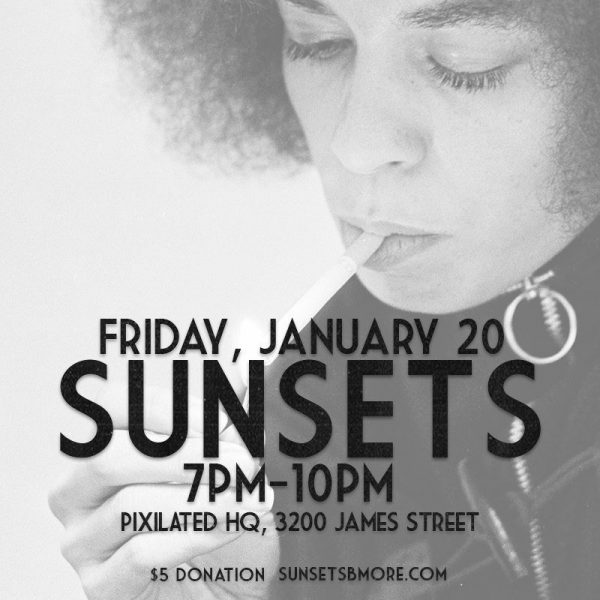 You’re invited to our first SunSets session of the year where we’ll strategize a vision for 2017, toast to new beginnings, and dance any worries away at Pixilated HQ (3200 James Street) on Friday, January 20 from 7-10pm. Bring your vibrant energy, an open mind, and a friend! n Creative Alliance style, we’re hosting a powerful and wild proclamation of American diversity! Our packed evening includes Bmore rapper/producer TT The Artist, plus her amazing dancers, a drag soiree hosted by Betty O’Hellno, piñatas, Mexican food, comedy, and a “let it all out” dance party with DJ Ridiculous. This evening is a pay what you can event, with proceeds going to support the efforts of Artesanas Mexicanas, a group of amazing women who hail from Mexico and other Latin American countries, reside in our Southeast Baltimore community, and actively engage across generations to preserve and pass on their cultural traditions. Come help us chase winter’s gray, cold days away! 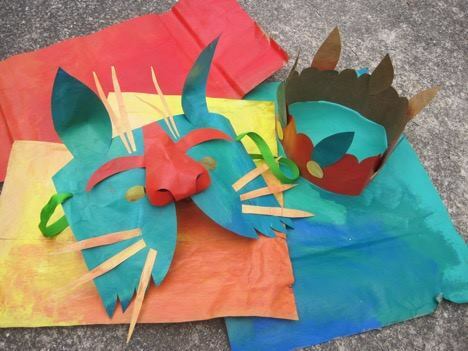 In the spirit of masquerade festivals around the world, guest artist Valeska Populoh will lead a two-part, hands-on, family-friendly and inclusive workshop in making colorful animal masks and headdresses. The first workshop session will take place on Saturday, January 21st and the second on Saturday, January 28th, with both sessions running from 11am to 1pm. On the first day, we will explore the pleasures of color mixing and painting, by collaboratively creating sheets of brilliant colored paper. On the second day, we will transform these papers, and ourselves, by making fantastical animal masks and headdresses. The workshop is FREE, with all materials provided, but plan to bring a smock or wear clothing that you are not afraid to get paint on! This workshop is suitable for all ages and ability levels. Participants are encouraged to attend both sessions, but contact us to discuss possible accommodations if you can only come for one. RSVPs to [email protected] are appreciated. 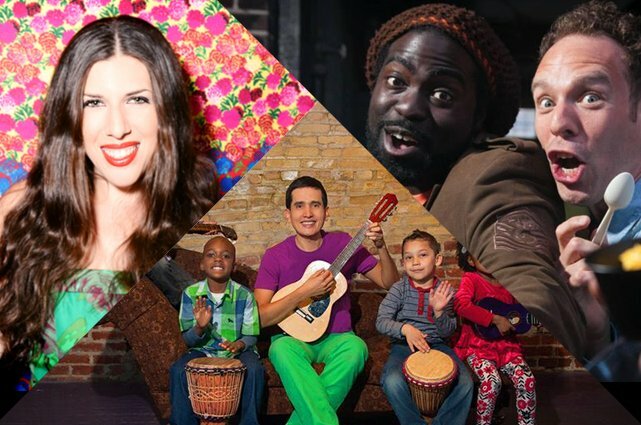 WTMD is excited to announce the launch of Saturday Morning Tunes, a new family-friendly concert series featuring rising stars of the children’s music scene, hosted at the WTMD performance studio in Towson. 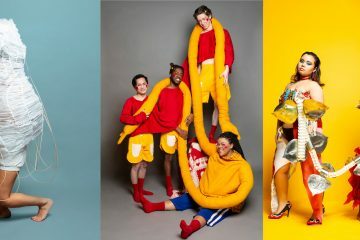 Tickets are available for each individual show, or you can purchase a series pass for a family of four to all three shows. Doors open at 9 a.m. and the music runs from 9:30 a.m.-11 a.m. Each performance has an opening act as well as a headliner. Snacks (organic fig bars and fruit strips) as well as drinks (Horizon milk and Honest juice) are included for all kids. And the WTMD performance studio is a safe, clean environment with comfy furniture that’s ideal for climbing and sitting. Both our men’s and women’s bathrooms have stainless steel changing tables, and there will also be vintage cartoons playing on our flat screen TVs. We’re thrilled to kick off our series with a live performance from the Brooklyn-based singer Joanie Leeds. Her music was raved about in People Magazine, Parents Magazine, The New York Times and The Washington Post. For her original kids music, Joanie won first place in the USA Songwriting Competition, an Independent Music Award, a Gold Parents’ Choice Award, NAPPA Gold Award and a Family Choice Award. 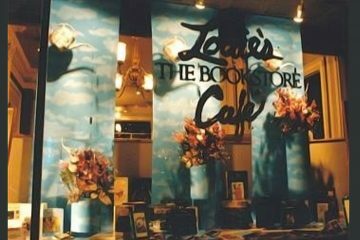 Her band, Joanie Leeds & The Nightlights, has performed songs from her 7 high-energy and interactive CDs in dozens of cities across the country at venues such as The Kennedy Center, Lincoln Center, The Smithsonian, CMAs and Hang Out Festival. Her tunes have climbed up the charts to #1 on Sirius-XM’s Kids Place Live and WXPN’s Kids Corner. Joanie is currently working on her 8th album for kids! Listen to her album “Good Egg” here and watch some of her YouTube videos here. Enjoy free admission all weekend at NMWA! Visit us this weekend for FREE admission and programming all weekend, January 21–22. Hundreds of thousands of visitors will travel to Washington, D.C. for the Women’s March on Washington during inauguration weekend. 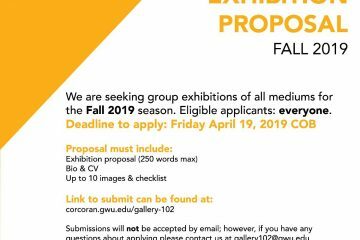 Take this opportunity to join us as we celebrate the creative contributions of women and champion women through the arts. Learn about Simone de Beauvoir in From the Desk of Simone de Beauvoir, which invites visitors to reflect on Beauvoir’s impact, not only in her time and as a feminist, but also in our own time and in the areas of literature, philosophy and popular culture. 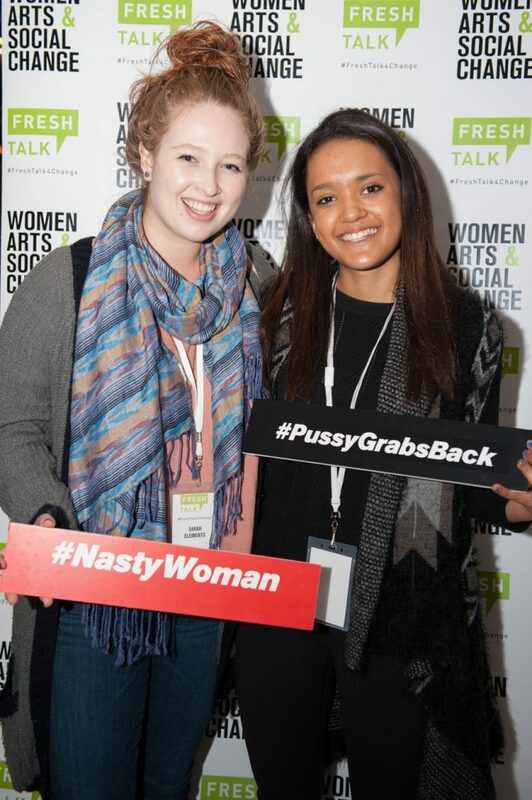 Tour: Nasty Women: Sunday, Jan 22, 1–2 p.m.
Film Screening: Can We Change It? Sunday, Jan 22, 2 p.m. & 3:30 p.m. Warm up during the chilly Winter season and join us for afternoon tea at Clayworks! 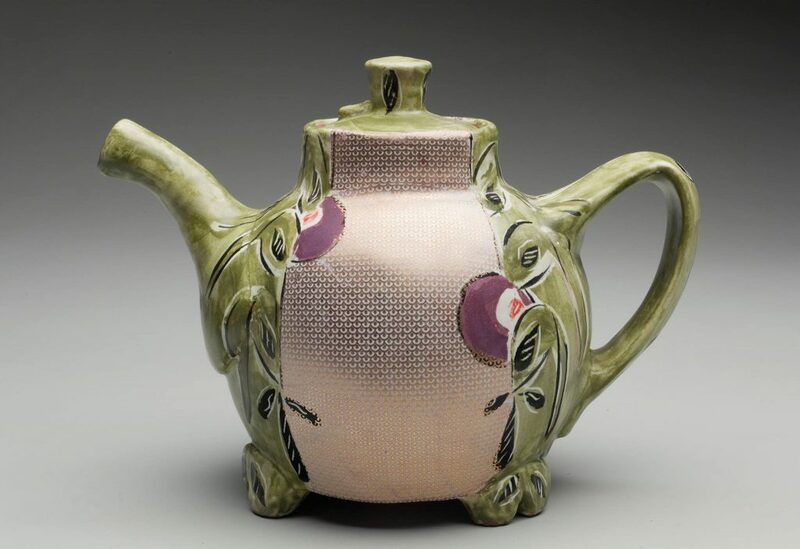 In conjunction with the popular TEAPOTS exhibition on view in the galleries, guests will have the chance to mingle and view teapots from across the county in all shapes, sizes and colors, while enjoying tea and light fare provided by the Tea Trolley. 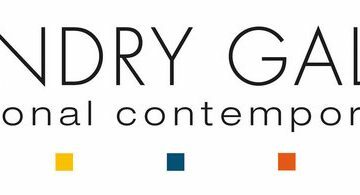 Proceeds from the Tea Party will directly support our exhibitions and artist programming throughout the year. Special thanks to Susan Nehra and Nancy Nasrallah for sponsoring this event.